← How did Arthur Ransome influence your life? A fascinating piece of history for anyone interested in the film and how Simon came to get the part of John. Many thanks for sharing it with us, Sophie. Also, regarding Sam and the River, if the BFI have a copy, although it’s true that they don’t have the authority to release it on DVD, someone, most probably the BBC, could give them that authority. The West’s should contact the BBC again, tell them that the BFI have the series and would they please give the BFI permission to release it. If neither the BBC nor the company that made the film wish to retain any ownership on it, then it would have fallen into the public domain and the BFI could release it. However, I would be surprised if the copyright doesn’t still belong to someone and that someone could give the BFI permission to release it. Thank you so much for such helpful comments. I have forwarded your advice to Simon. Another route (the cheapest) is to encourage a DVD distributor to release the series. They would do all the leg-work. 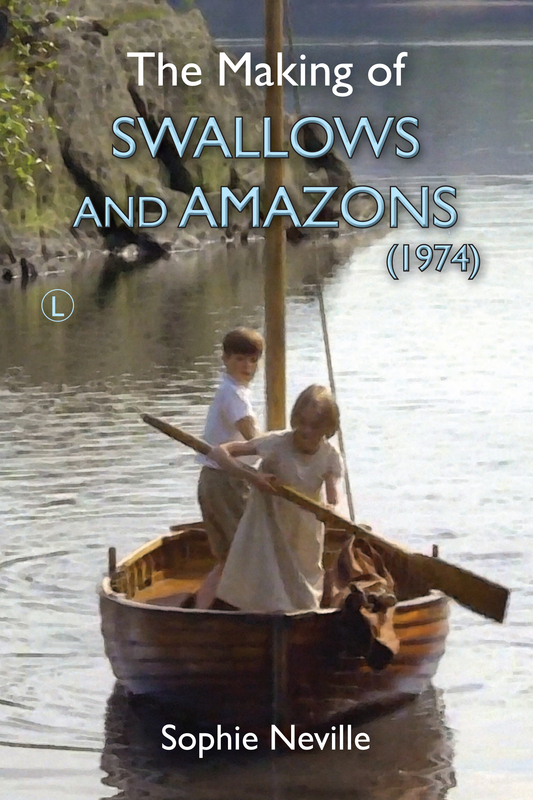 Revelation Films tell me that the DVD of the adaptation of Arthur Ransome’s Norfolk books, that we made back in 1983, has reached the top 10 in their DVD distribution. I have a feeling this could be due to my blog and a talk given to the NBT, after which the Nancy Blackett Trust bought a whole load for their shop. I wonder who sells other classic drama serials from the 1970’s and if programmes such as ‘Black Beauty’ are now available on DVD? I know you can get hold of ‘Arthur of the Britons’, which my sisters and I were in. I gather it’s become cult viewing in the States. Quite a number of early 1970s British television series are available in full on DVD, Sophie, including Black Beauty; Boy Dominic (with Murray Dale) and Sam (with Kevin Moreton) and are available from amazon; Movie Mail; Network and all the usual outlets. So I see no reason why Sam and the River shouldn’t be released as well. In fact, I look forward to any potential release in the near future, if possible, and not another ten years from now. Great. I wonder which is the best DVD company to approach with a request. Network is the best for anything like that, as, although they mainly release titles that were originally shown on ITV, they maybe could licence it from the BBC if they BBC aren’t interested. In fact, the BBC have released very little of their back catalogue and, if it isn’t Doctor Who; Dad’s Army, or Only Fools and Horses, they don’t seem interested. But the BFI could also release it if they could get permission from the BBC, as they have released a lot of the old Children’s Film Foundation titles in the past two or three years. Tell Simon not to give up and to keep campaigning and pressing them for a release. It’s an excellent series and it’s very unfair that he has been denied seeing it since it was first broadcast some forty years ago. Something has to be done about this. As fascinated as I am iwth Mr. West’s account and as excited as I am by the possibility of Sam and the River appearing one day on DVD, I’m most interested by the fact that a jigsaw puzzle was issued with images from the film. Do I understand correctly? And who in the world has a copy? Wouldn’t it be interesting to have an image of a completed puzzle!?! 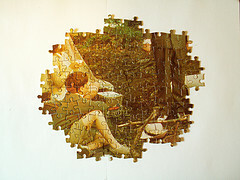 If you are referring to the Swallows and Amazons jigsaw puzzles, four of them were issued in 1974 each containing a different scene from the film. I have three of them, which are the Walker children and their mother arriving at the railway station; the Walker children sailing Swallow and the Swallows and Amazons on Wild Cat Island. The fourth, which I have yet to obtain, was a scene of the Walker family sitting on the grass near Coniston Water. Yes, if there are S&A jigsaws out there, it would be interesting to see images of the completed puzzles. A rainy afternoon project perhaps. Were there other collectibles issued back then? Perhaps I should explore Sophie’s site a little further! Do write to Network and ask if they have ‘Sam and the River’ on DVD. If they receive enough requests they will stock it. You really don’t want that fourth jigsaw puzzel. But do write to Network and ask if they have ‘Sam and the River’ on DVD. If they receive enough requests they will stock it. I may be wrong, but I think there may be some images of the jigsaw puzzle boxes somewhere on Sophie’s site (or did I see them in the film’s press book which I have in my collection?). There was also a 1974 LP record on EMI’s Music For Pleasure label of the story of the film taken directly from the film’s soundtrack that I have in my collection. I also have the original 35mm colour cinema sound trailer for the film in excellent condition that I can’t play because I haven’t got a projector to play it on, but it runs about three minutes, as well as original cinema quad and crown posters (30 x 40 inches and 60 x 80 inches respectively), as well as the original Front-of-House set of eight colour stills and a number of black and white press stills. I have known these items to appear on eBay on rare occasions, but they haven’t been on there for quite a while now. Unfortunately, I don’t have a digital camera (although I’ve promised myself I’d get one some day), so I can’t take photos of the jigsaws. I’d love to see the original Front-of-House set of eight colour stills. See if you can find a scanner. I had to buy a new printer and managed to find an excellent Kodak ESP 5250 Printer and scanner for under £100. I have two spare copies of the LP which I will take to the TARS IAGM. You just need a gramaphone player. I already have scans of each of the eight Front-of-House stills in the set, Sophie, but there are no facilities for visitors to upload images on here. I used to have them all up on my flickr photostream, but deleted my flickr account last May when Google took the site over and changed things so much that I just couldn’t use it any more. I bought the LP many years ago and still have my early 1970s stereo record player. It’s over forty years old and still going strong. Would you be able to email me copies of the scans? No problem at all, Sophie, but I’d have to be given an email address to send them to. They would have to be sent across a number of emails, as if I tried to send eight large scans in one email, it would probably bounce back as undeliverable. Why do you say that particular photo of you all sitting on the grass at Bank Ground Farm is hateful, Sophie? It looks alright to me. Does it hold an unhappy memory for you in some way? If so, I’m sorry. We just thought it was silly to photograph us all together in such a crummy posed way. It would have been so much better to be down by the lake with the dinghies.